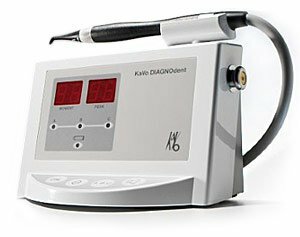 it is possible to detect tooth decay that is not yet visible and would otherwise be undiagnosed by conventional methods alone. more advanced the tooth decay. Once the scan is complete, the fluorescence readings are converted into a digital numeric output. that goes up in tone as it denotes the presence of decay. surface, that increased hardness can sometimes conceal even aggressive decay. 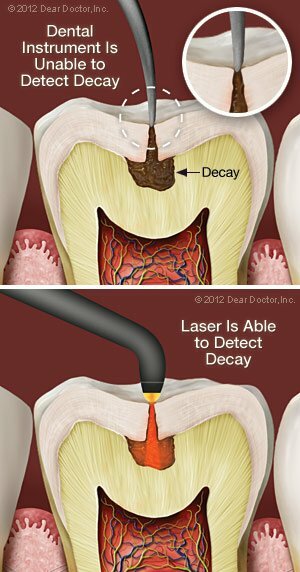 As a result, tooth decay can be difficult to find, even with the use of traditional x-rays. in the dental chair, and, ultimately, a financial savings to you.